4+/- acres of site planned approved land available for immediate build-out. Highly trafficked major roadway near major hospitals and all other amenities. 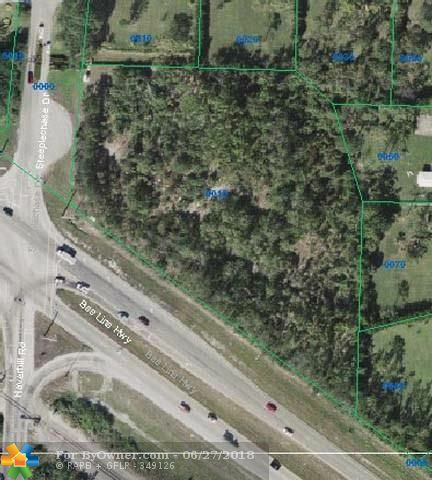 Bee Line Hwy, Palm Beach Gardens FL 33418 is a Agricultural, with 0 bedrooms which is for sale, it has 157,687 sqft, 156687 sq ft sized lot, and 0 parking. A comparable Agricultural, has 0 bedrooms and 0 baths, it was built in and is located at Bee Line Hwy Palm Beach Gardens FL 33418 and for sale by its owner at $ 3,299,000. This home is located in the city of Palm Beach Gardens , in zip code 33418, this Palm Beach County County Agricultural, it is in the Horseshoe Acres West Rep Subdivision, and BALLENISLES are nearby neighborhoods.